Use TB2YA99 to reference this item. 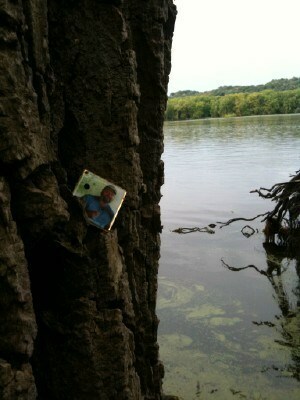 From one edge of Wisconsin to the other...this time I have left Todie on the shore of the Mississippi River. Hope you catch an exciting ride from here--happy trails. This entry was edited by irishcaile on Saturday, 25 September 2010 at 20:54:44. Hello again Todie's coin. This was my first TB a year ago. Made quite a geo-detour to pick him up again today. Have a few ideas about where would be a good place to drop him (again). Will move him on, I promise. Somewhere around 80% of motorcycle accidents are the fault of the driver of the other vehicle. The government does so many stupid things these days, such as bailing out rich guys who are mismanaging banks and invading countries that are totally messed up and would be best left alone. All the while the government is sidetracked with those projects it is NOT doing a very good job at some basic tasks we actually need them to do- better regulation and training of drivers everywhere. My hometown recently had a case of a person who was around 90 and who hurt someone because they got the gas / brake mixed up pulling out of a parking lot. This person had just gotten their license renewed for another 7 years. In many other countries (for example European countries) they actually do check people out and make sure they are still able to drive well as opposed to just collecting their driver's license renewal fee like here in Wisconsin. But we all can make a mistake while driving and my best wishes goes out to everyone affected with Mr Todie's accident! OK, I'll get done ranting but this coin found its way to the right motorcycle riding guy! 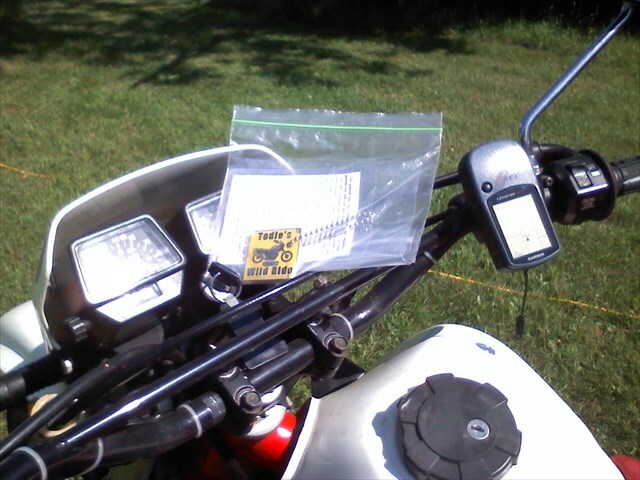 Will take it for a motorcycle ride to another cache. I'm not a biker but this coin has a great message. Decided to take this to our cache, Little House, in Neenah. This is our first coin so I thought what a great cause for our first coin. I know it will get some attention in Fox Cities. Oh, thank goodness, I thought I was going to have to head up there and get him moving myself. I've solved the puzzle, but you are saving me the miles from Madison. Glad he's on his way again.